Hi babes!!! Well, after being sick for way too long, I decided I need to take better care of myself. And that starts in the kitchen! 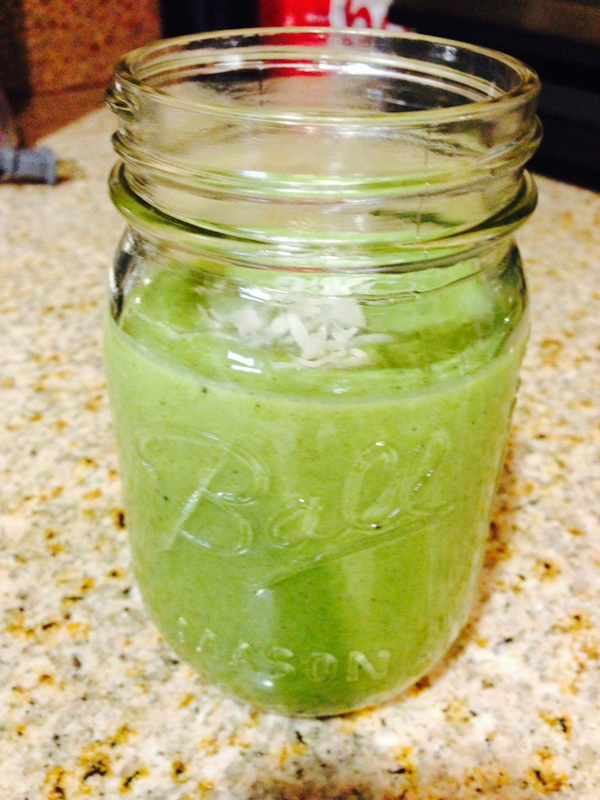 This green smoothie is DELICIOUS. Seriously. 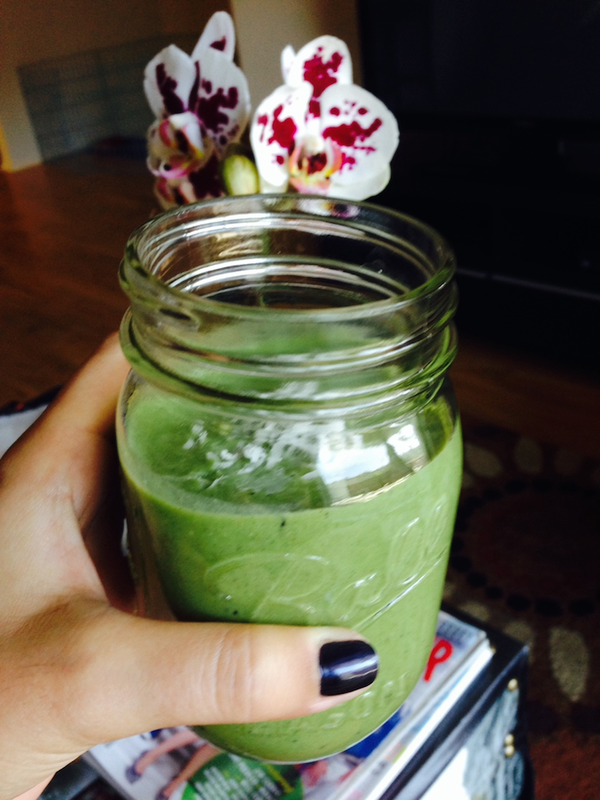 I'm very picky, and you honestly can't taste the veggies in this, it just tastes sweet and yummy. MUST TRY!! 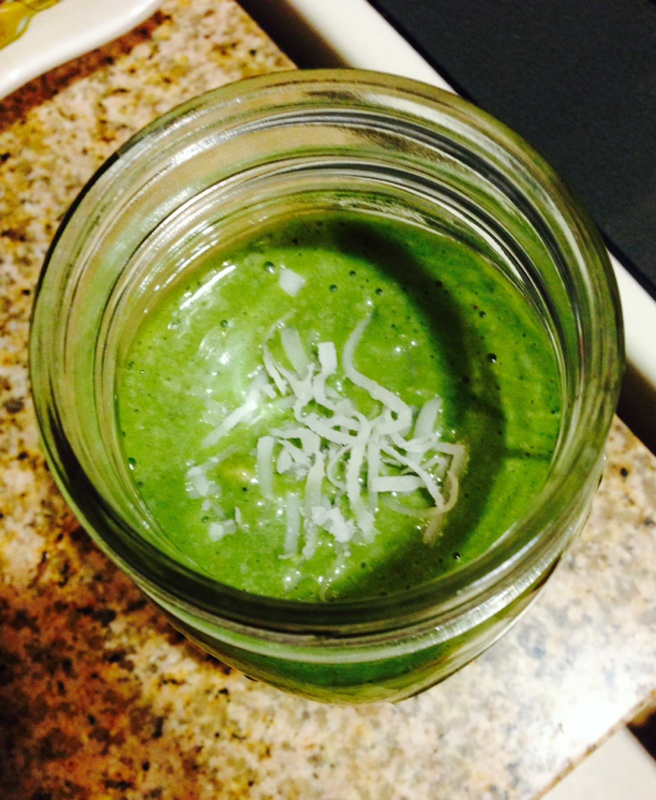 After pouring the smoothie out of my NutriBullet and into a cute mason jar, I topped it with a pinch of shredded coconut! Product I Want: Eyelash Curler!